Wolf 340F helped form this pack in early 2004 after dispersing from the Nez Perce pack. She was the presumed breeder in 2004 when the pack had 6 pups. In January 2005, two of these pups (474M and 475F) and one yearling (476F) were captured and radio-collared. Pup 475F was killed by other wolves later that month. Wolf 476F dispersed from the pack and was found dead in Idaho in May of the same year. 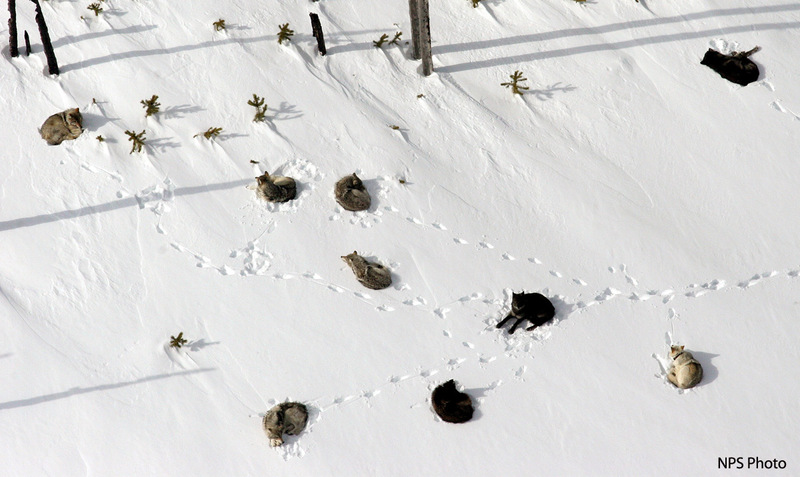 The pack’s territory began to shift to Yellowstone’s southwest boundary and then further into Idaho in late 2005 when it was no longer considered a park pack.